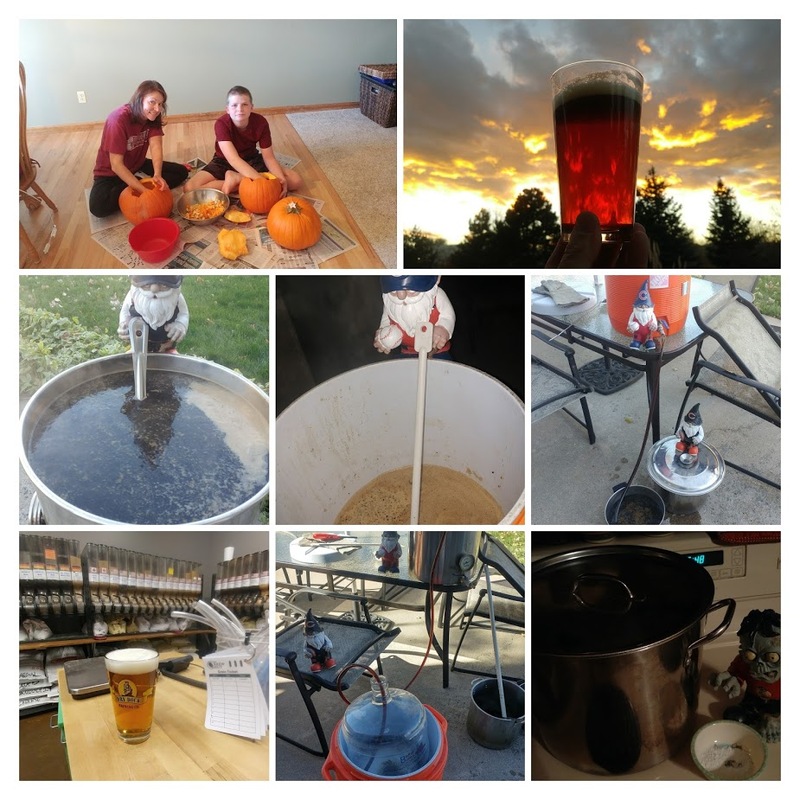 In the 4th Quarter, we brewed 4 beers. 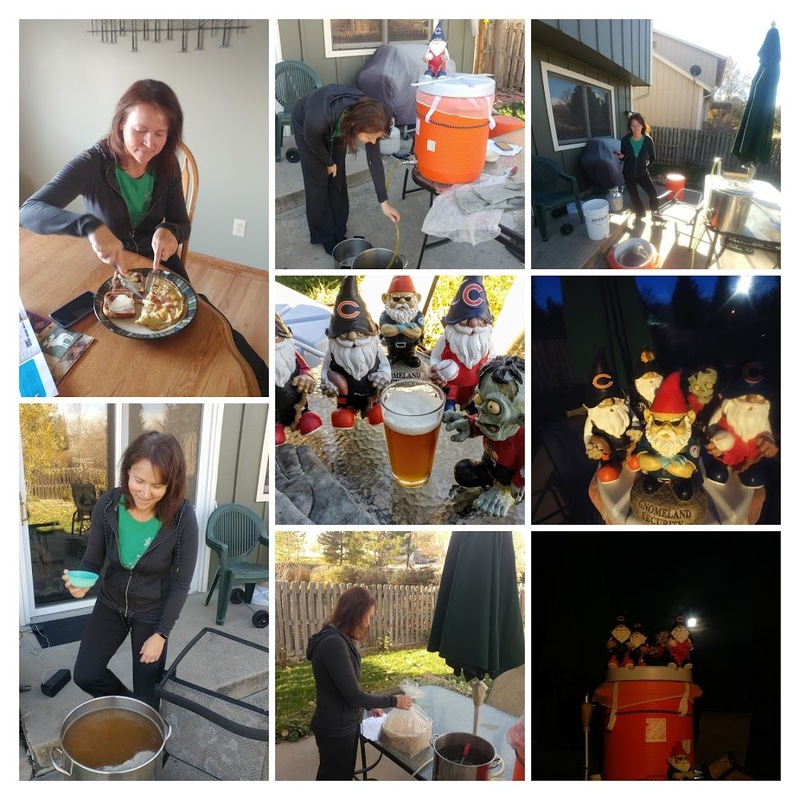 Those 4 batches totaled 20.5 gallons of beer, putting my 2017 total at 96 gallons over 19 batches. 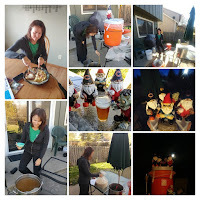 So, I didn't get to 100 gallons of beer this year. 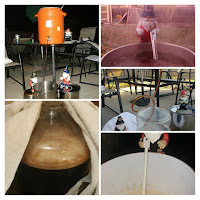 I was close, and I fully intended to do one more batch, but the week between Christmas and New Year I caught the flu and felt bad enough to postpone a brew day. That is fine. I'm ok on beer. I have plenty. Don't worry. 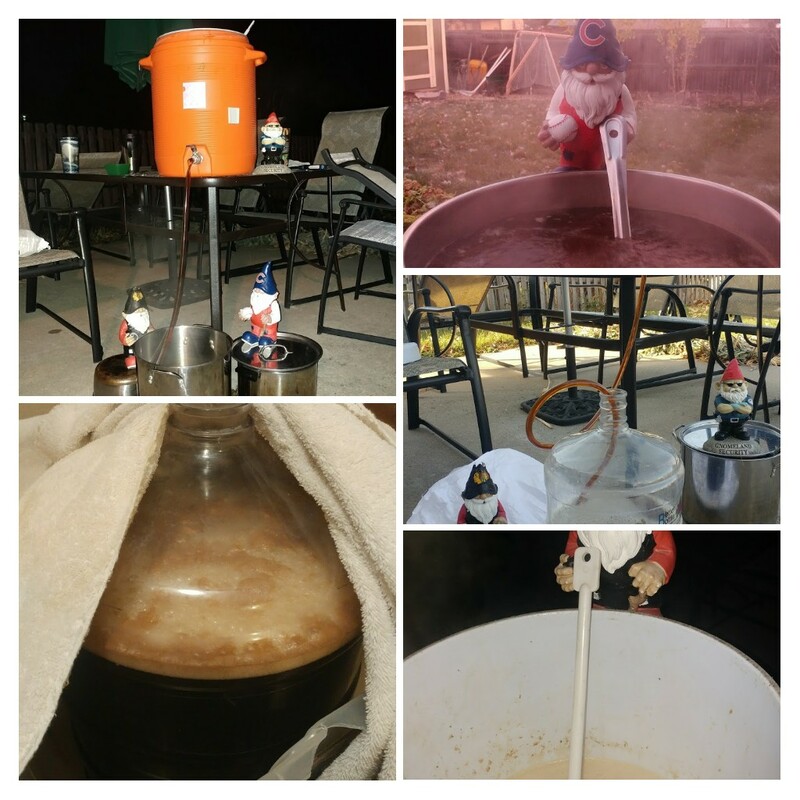 3 of those batches were new recipes ( Killer Cricket Porter, Where'd My ManGo Wheat, 2017 X-Mas Ale). I think that puts me at 8 new recipes this year. Last year I had 11. I didn't brew any lagers in the 4th quarter, so I remain at only 4 lagers this year compared to 7 last year. Where'd My ManGo Wheat was a collaboration beer between myself and the Beer Model. It turned out fantastic. 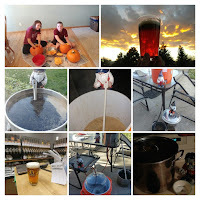 She is a wonderful brewer. And sooooooo good looking. 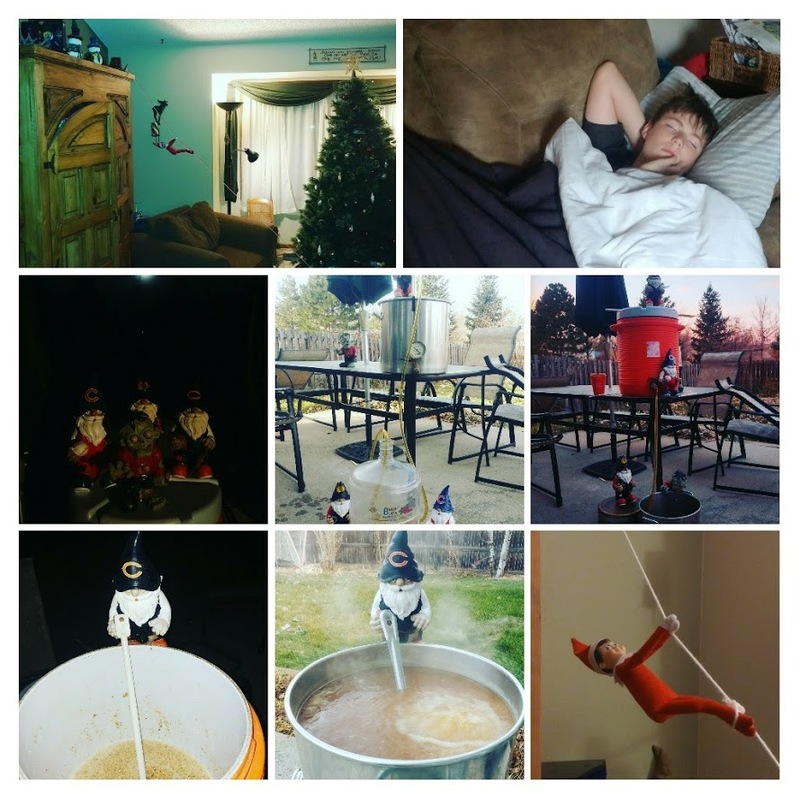 I really liked this year's X-Mas Ale. It was lower in alcohol than most of my winter warmers. It had blueberry flavoring in it that worked very well with the winter warmer base beer. So far in 2018, I've brewed one batch and am planning on brewing a second batch this Sunday. It has been a pretty good start. I don't really have any interesting plans for 2018 beers. I expect I'll be right around that 90 to 100 gallons again. I am not concentrating on any techniques or styles this year. Again, if you specifically want to check out these Quarterly Reports, bookmark Sheppy's Blog: Brew Stats. Hopefully I'll get the 2nd Quarter report out earlier after the Quarter ends.